As our Journey students finish the fourth week of their summer school we take a look back at what they’ve been up to in Valencia, Munich, Zurich, Budapest, the Netherlands and Hamburg. More than 220 students from over 45 countries, representing 50 disciplines, are currently taking part in Europe’s largest climate change education programme – the Climate-KIC summer school. The Journey summer school is an introduction to the world of climate change entrepreneurship. The students learn about making decisions, pushing boundaries, getting out of their comfort zone, improving performance and reinforcing their confidence. Set over 13 locations across Europe, this year’s programme is Climate-KIC’s largest summer school and is divided into six separate groups. Each group travels to three different locations gaining insight and experience from a selection of Europe’s best universities and most innovative businesses. After an introduction into climate change and entrepreneurship the students will start work on forming their own climate change business idea. The last two groups of students have set off on their Journey in the Netherlands and Hamburg. Meanwhile the other Journey groups are gearing up for their finals in Wroclaw and Bologna this week. TV Mediterráneo interviewed our Journey students in Valencia! Journey students in Munich receive top tips in preparation for their business idea pitches. With next week’s finals in Bologna looming, Journey students in Zurich challenged the students in Budapest to a song challenge! A visit to the North-Pest Wastewater treatment plant energised Journey students in Budapest. 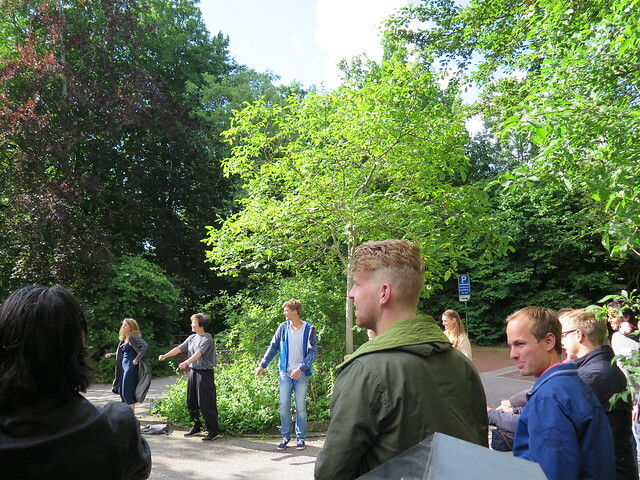 The Journey students in the Netherlands visited Europe’s largest urban farm in the Hague. Meanwhile students in Hamburg visited the“Energy Bunker” – an old bunker from WWII which has been transformed into a power supply station combining various sustainable energy systems and supplying the area of Wilhelmsburg with energy.